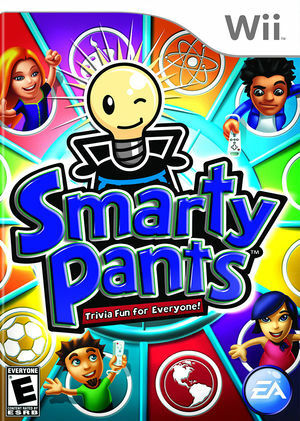 Smarty Pants finally levels the playing field for people of all ages, allowing simultaneous play using age-targeted trivia plus action-based gestures, making it a truly trans-generational game made exclusively for the Wii. Tailoring questions to the contestant's age, gamers from eight to eighty can join in on the fun all at the same time. Exciting Wii gestures make everything a game, from spinning the category wheel and tug-of-wars over correct answers, to "dance-offs" for additional points. The graph below charts the compatibility with Smarty Pants since Dolphin's 2.0 release, listing revisions only where a compatibility change occurred. This page was last edited on 13 January 2018, at 13:43.